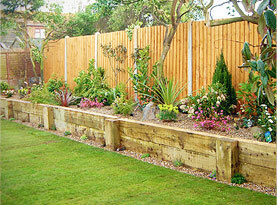 There are some landscaping needs that are quick and simple that can be done on a weekend. 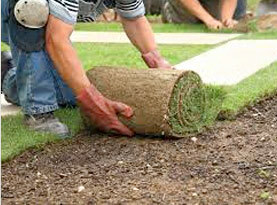 But there are many areas of landscaping that should be handled by a professional for many reasons. The most serious being emergency tree removal! Trees are serious business and when one needs to be removed it is best to leave it to a professional. It takes specialty equipment as well as knowledge and expertise to take out a tree even if it is small. It is extremely dangerous when taking a tree out, especially if you don’t know what you are doing. It can put you at risk of injury as well as damage to the property around the tree as well. There are several reasons that a tree may need to be removed. Bell Tree Services Lists Reasons You May Be In Need Of Tree Removal. The Tree Has Been Badly Storm Damaged: If you have a tree that has been damaged for any reason it may need to be removed. It can be damaged from many different reasons but the main one is storms. When high winds run through it can start to take out limbs and even entire trees. Another reason that a tree can be damaged is from lightning strikes and other kinds of natural disasters. If a tree has been damaged it can be a safety risk and will need to be removed. Just because only part of the tree has been damaged doesn’t always mean it can stay up. Too much damage to an area may require the tree to be removed. 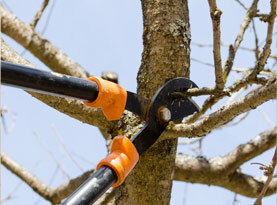 If you have a damaged tree should call a tree removal service to have it inspected and possibly removed. The Tree Has Disease: Another reason that people call to have a tree removed is because the tree has been infected and has a disease that could potentially kill that tree and also affect the other trees around the area. If you have a tree that has disease it is best to have it looked at by a professional to determine if the tree can be treated or if it needs to be removed. Lot Clearing is Needed: A tree may not have any damage at all but still might need to be removed. The tree could be on the land in an area that is needed to build or even drive. If you want to utilize your land to its full potential you may need to thin out some trees to make the access to the area easier and to put up whatever structures you may need. 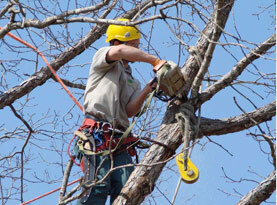 If you need to have a tree removed you want to call a professional that has the ability to remove a tree safely. The equipment that is needed should be used by a professional that knows how to use it and the knowledge on what needs to be removed and what can potentially be saved.